The talent of northerners was fully revealed in all elements of everyday life, which we are not able to see in the interiors of houses in the Russian North: from fancy-work towels to kitchen utensils and diverse pieces of furniture. 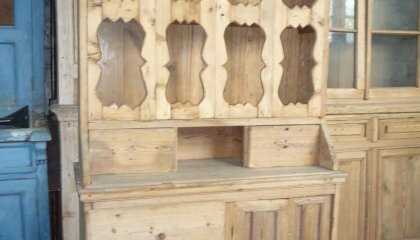 Our company assembles and sells antique wooden furniture of the 18-19th centuries from the country houses of Russian North villagers. Our work is highly demanded not only by the ones who value rarities, but by the people who want to introduce the atmosphere of the fairy- tale world to their dwelling. 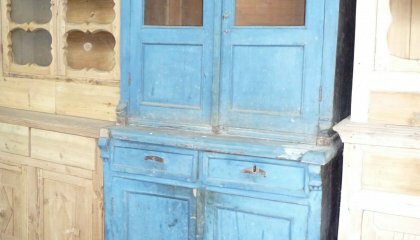 Only some things from the past remind about that such as chests, boxes, cabinets, sideboards, tables, etageres, cupboards. People living in big and small cities now lack individuality and warmth. The furniture offered by us will solve many aesthetic, emotional and status tasks of your interior. The traditions of furniture making have been formed in Russia for long centuries. They have been acquiring the aesthetics gradually. The secrets of furniture making were passed from father to a son, therefore everlasting charm of this furniture is in its inimitable qualities. The hand of author even if he is not known is noticed in the article created by him. Though the pieces of furniture are typical you will never find two absolutely similar things. No matter what article of furniture you choose each piece will have its unique history. Existing in the stream of time, each of these ancient things preserves its unique distinctive character and acquires more mysterious gauze with each year. 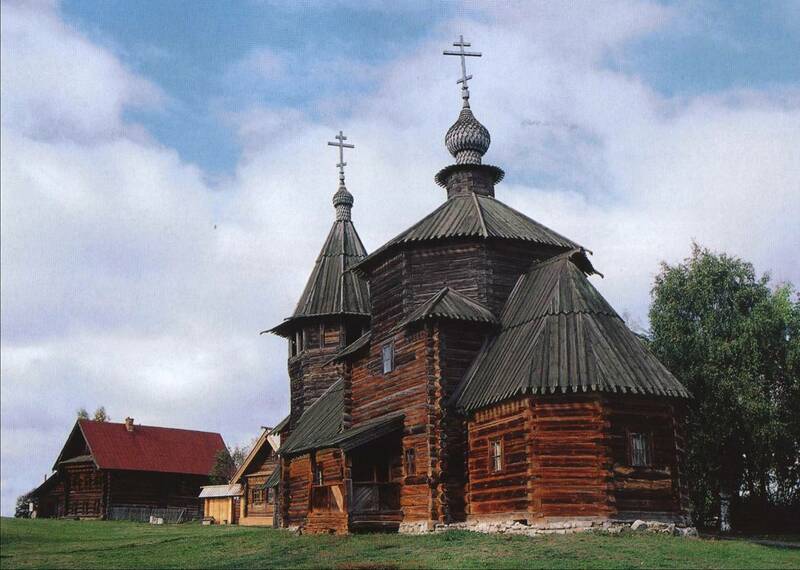 The furniture we can see in the houses of the Arkhangelsk, Vologda andKostroma Regions was build from the local timber. People in the north used to choose fir, pine wood and larch for it. It is worth mentioning that the best Russian timber is timber from the Vologda Region. Wonderful chests were made of larch brought from there. They were famous at that time because moth didn’t live in them. Chest was one of the most common and the most ancient pieces of furniture and decoration in the peasant houses. 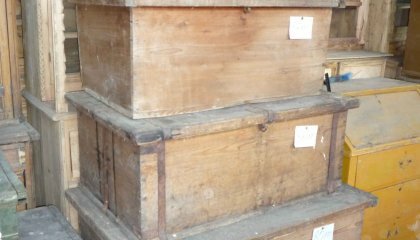 We sell chests that date back to the 18-19th centuries. 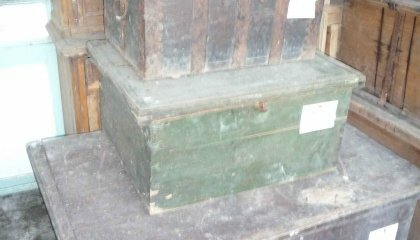 This piece of furniture is made of planks, connected with nails and covered with metal ribbons, which are smooth at places or had pattern on them. Having different forms and sizes, chests in Russia were meant for keeping the most diverse things: precious decorations, everyday minutiae, money, dowry, clothing and foods. Big chests were closed with big padlocks. The chests, the inner walls of which are covered with paintings, are unique works of folk art. The paintings include mainly floral ornaments, but sometimes chests with fairy-tale plots can be found, where bogatyrs (Russian hero of legends and defender of the country), paradise birds, and other folklore characters were portrayed. You can also buy tables of different types that existed in Russian peasant everyday life. You can decorate your kitchen interior with little dinner table that has one or two drawers or place unique antique table-base unit in your living room. Rarefour-legged dinnertablewith massive balusters will look wonderful in your dining room. 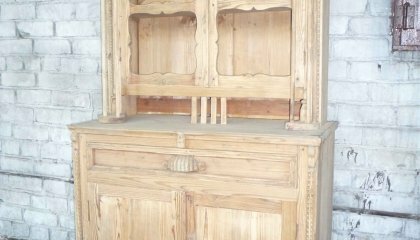 Cabinet is a popular piece of furniture in the past. This is a low cupboard that was placed on the bench in the houses. The doors of sideboards were usually decorated with paintings and the most valuable things were kept there. These were the articles of religious faith as a rule. Here brass tableware, grace cups and cups were stored. Sideboards appeared in homes of Russian people later. They became successors of cabinets and were widely spread in the 19th century. 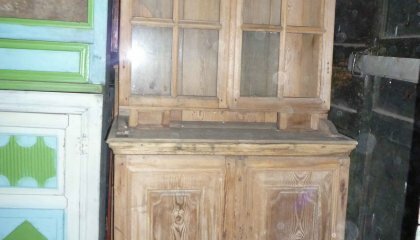 Two-storey sideboard is common in the north. They were called cupboards there. If you decided to decorate your house with this unique article, then you can be sure that its harmonious proportions, attractive rhyme of alternation, ratio of solid (dumb) and glass parts, authors decorative elements and corrugation will make any wooden cupboard a pearl of your interior. The samples with preserved painting will bring pleasure to you with bunches, branches, garlands of flowers in the vases that were preferred on the panels of masters in the Vologda and Arkhangelsk Regions. These paintings are nice as they show naïve, primitive and special master’s view of the world. Any piece of furniture that you are going to buy will certainly become a successful acquisition, you’ll proudly tell about to your ancestors and which will be inherited from one generation to the other. We are interested in cooperation with designers, private collectors and just amateurs of folk antiquities for the purpose of exchange and sale. There are over 300 big pieces of articles at our storehouse. We will be glad to meet you and we hope to have productive cooperation with you.